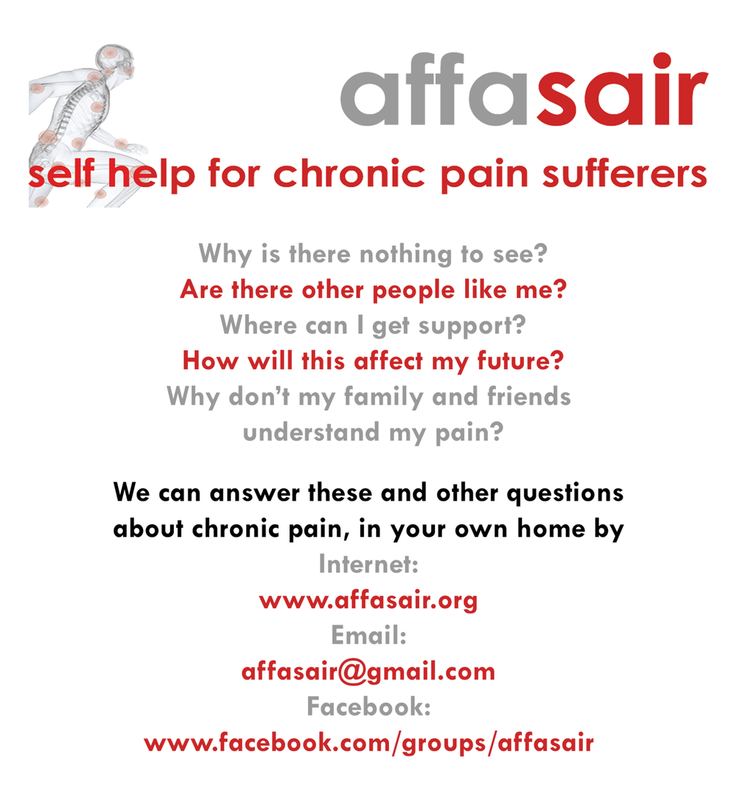 At affa sair we aim to provide a strong presence for “Chronics” and to educate everyone, including politicians and NHS Staff, on the needs of chronic pain sufferers. Chronic Pain is continuous long-term pain of more than twelve weeks or, after the time that healing should have occurred after trauma or surgery. Chronic Pain is thought to affect 5.6% or 1 in 20 of the population of Scotland. This is roughly equivalent to instances of heart disease, diabetes, major depression, and other long-term illnesses. Chronic Pain patients, on average consult their GP 5 times more frequently than those without. Chronic Pain conditions globally, and in Scotland, are by far the greatest cause of disability. Chronic Pain was accepted by the Scottish Government as a distinct diagnosis in 2008, and its management prioritised as a long-term condition.